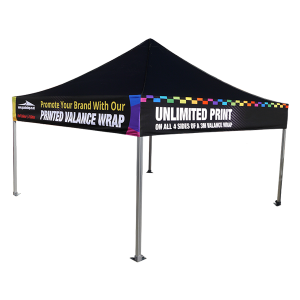 Transform your plain canopy with a dye sublimation printed valance wrap, a cost-effective and non-permanent solution to promoting your brand. Looking for a non-permanent branding solution for your plain canopy? 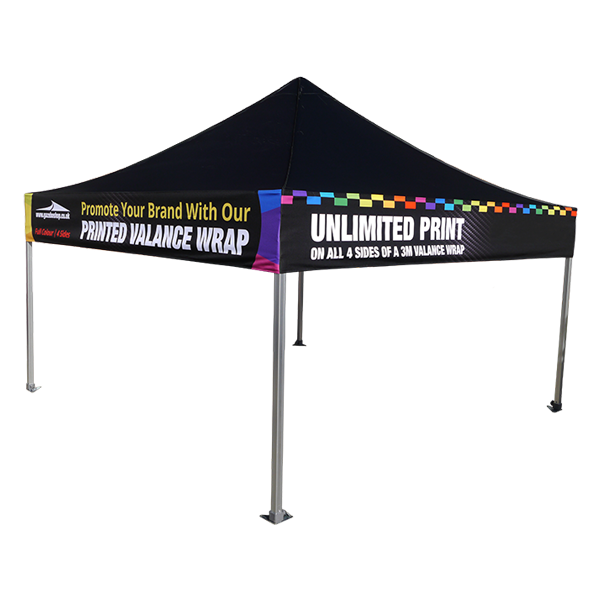 Already purchased a gazebo, but now want it branded? If you answered yes to either of these questions you’re in luck! Our dye sublimation printed valance wrap gives the impression of a fully printed canopy valance but for a fraction of the cost! The printed valance wrap is made from the same quality polyester as the gazebo canopy and simply wraps around your gazebo’s frame. 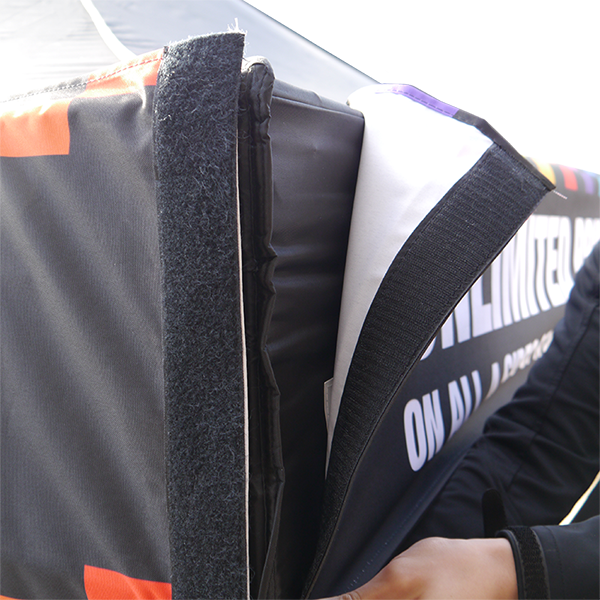 It velcro’s back on itself to secure in place, ensuring a tight and stylish fit. No fixing adaptations need to be made to our canopies in order to fit the valance wrap as it is fully removable and self-supporting. 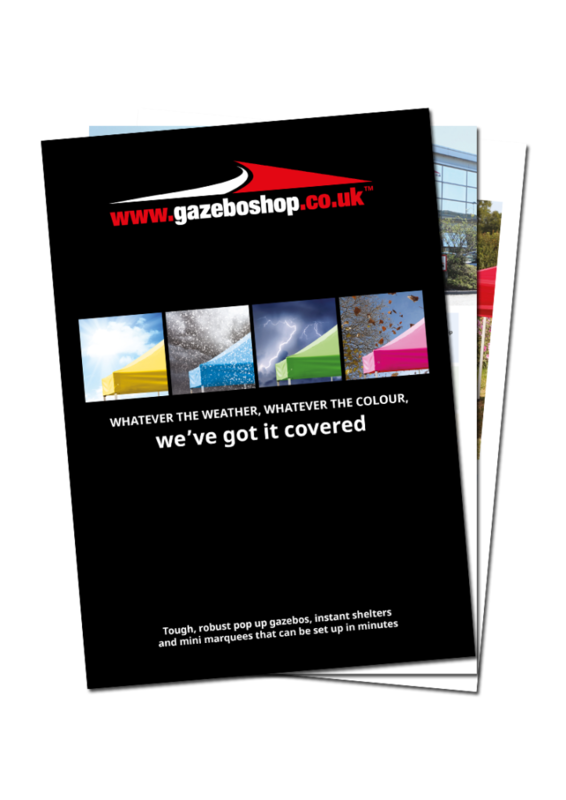 The valance wrap can be printed full colour on all four sides; contact us for a FREE visual! We can meet your exact print requirements as there are no limits to the colours and images we can print onto the valance wrap using our dye sublimation print technique. The turnaround is quick and you can have a different branded message on each side of your structure. To see your artwork mocked up on our Printed Valance Wrap, please complete the form below. Don't forget to upload your artwork files!